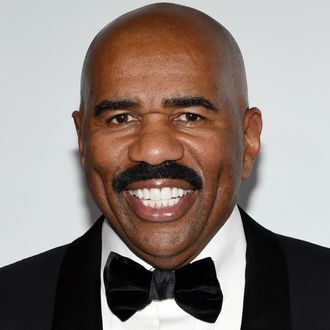 In a move that will totally work out for everyone involved, Steve Harvey will return to host the 2017 Miss Universe pageant. The news is a bit of a surprise considering last year’s monster gaffe, which involved Harvey accidentally giving the Miss Universe crown to runner-up Miss Colombia Ariadna Gutiérrez instead of the actual winner, Miss Philippines Pia Wurtzbach. After the mixup, Harvey had another blunder, posting an apology to “Columbia” and “Philippians,” a book in the Bible. But Harvey can’t possibly make the same mistake twice, right? The next Miss Universe will be named (ostensibly without any mistakes) Sunday, January 29.